The rural bath has the right ingredients for everyone and, with the Rottal Terme, offers you one of the most modern thermal bath landscapes in Europe. 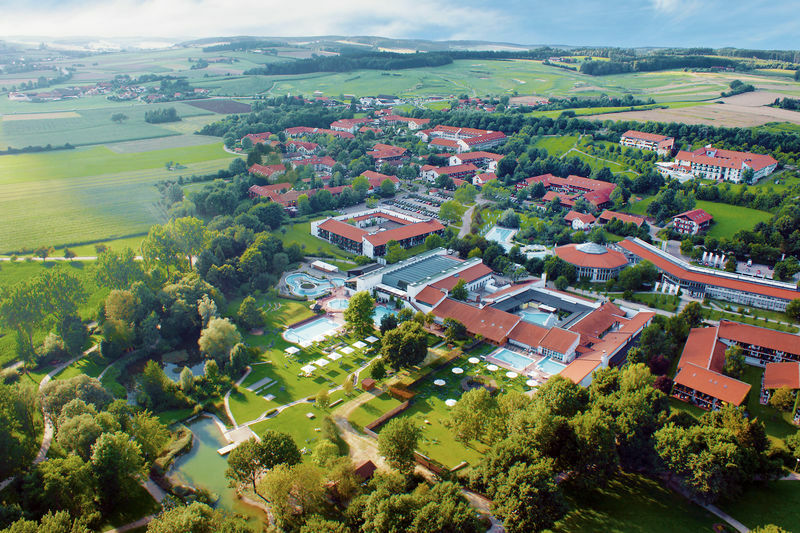 Thanks to 2,400 m² of water surface and over 30 comfortably warm thermal water pools with a temperature of 26 to 40 degrees, recreation and relaxation are guaranteed in the Rottal Terme Bad Birnbach. Experience more of medically useful, versatile attractions at the unique Vitarium® with the spa and sauna world and enjoy your rural bath to the fullest in the therapeutic bath. Skilful hands, therapists with spirit and professional knowledge and ability, caress your soul and thus also your health and your overall well-being. At the eventful Rottal Terme, all guests can look forward to numerous attractions and highlights such as rain sauna, salt water lagoon, graduation works and much more. Relax, dive in, do nothing - take some time for yourself! Treat yourself to a few hours of rest, relaxation and time out. Therapeutic bath: daily from 8:00 a.m. - 6:00 p.m.
Vitarium® with thermal baths and sauna world: daily from 9:00 a.m. to 9:00 p.m.